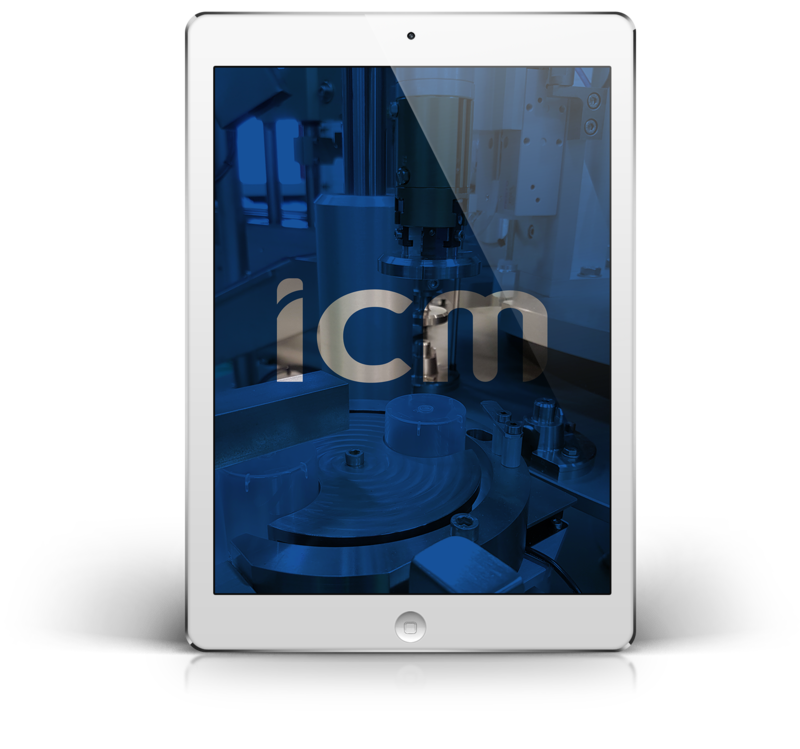 ICM integrates industrial robot systems into its automation solutions and is your ideal partner for your robot integration project. 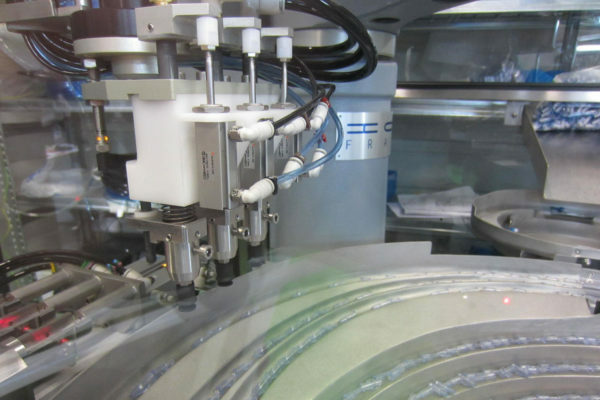 Thanks to the dual competence of our mechanical and automation engineering department, equipped with 3D design tools, robots and digital controls, we offer turnkey robotics solution. Our offer includes programming, installation of the robot, but also the design of its grippers (pneumatic gripper, vacuum tip, …), vision systems and the installation of different types of sensors (presence detection, force sensor, …). The integration of one or more robots offers you competitive advantages such as increased productivity, improved quality of the final product thanks to the reliability and repeatability of the movement, but also the simplification of difficult tasks for your operators. 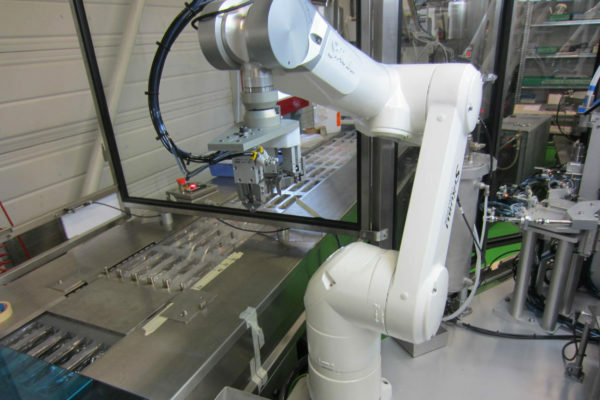 The possibilities of industrial robotics go from the programming of simple linear movements to the implementation of multi-axis manipulation up to the integration of complex robotic technology. Whether scara, cartesian or 6-axis robots, we can program and integrate all types and brands of robots (Stäubli, Epson, Fanuc, Kuka, Universal Robot, …) in our special-purpose machines, according to your specifications. 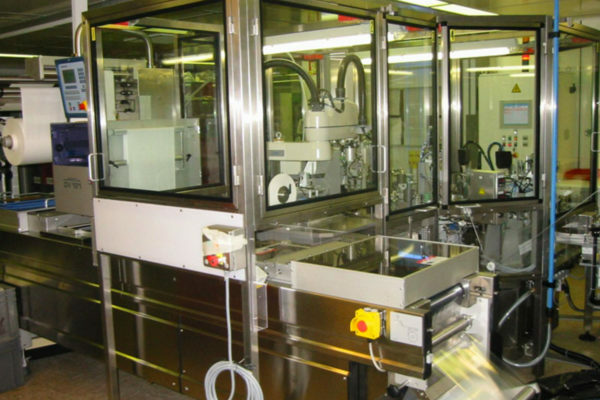 Just like our special machines, our robotics solutions can serve all our main activity fields: pharmaceutics and medical, cosmetics and perfumery as well as electromechanics and connectivity. 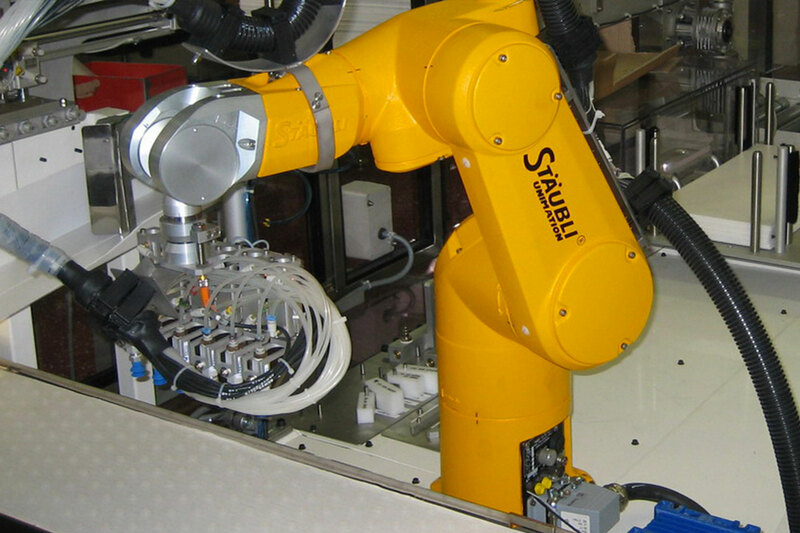 Are you looking to integrate a robotics solution ? We are at your service !